HomeIntermediary PartnersAgentWhy Become a Maxicare Agent? How To Become a Maxicare Agent? • High Income awaits you as a reward for performing consistently. 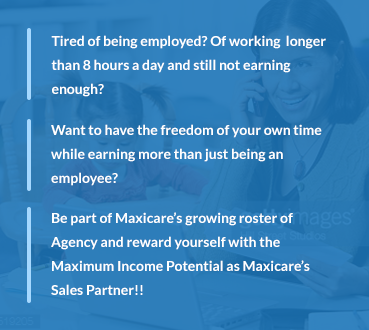 Do you think you have what it takes to be a Maxicare’s Sales Partner? Assess yourself and check if you’ve got the qualities that we are looking for.